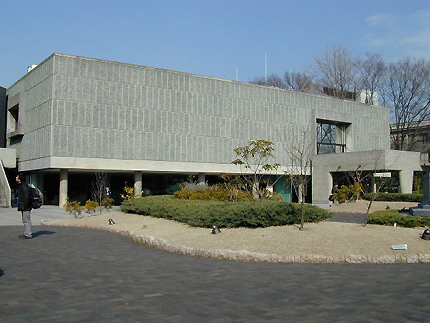 The National Museum of Western Art, one of three museums designed by Le Corbusier according to his prototype for a 'museum of unlimited growth', was originally established to house and to display the Matsukata Collection. Kojiro Matsukata, once-president of the Kawasaki Shipbuilding Company, collected a large number of paintings, sculpture and prints during his travels to the west. 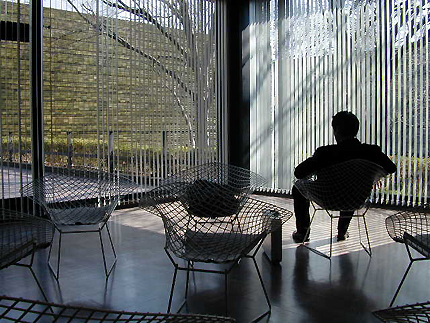 The financial crisis of 1927 led to the sale of his art collection; after World War II many of the works became the property of the French government, which returned them to Japan in 1959. 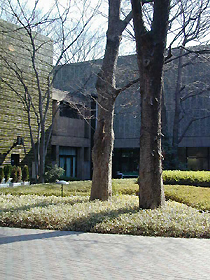 Located within the woods of Ueno Park, the museum is approached through a landscaped plaza. Its blank textured facade of green pebbles set in concrete panels is suspended on pilotis. 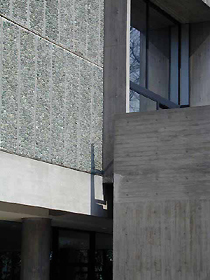 The horizontal rhythm of the facade is interrupted only by a large window with a projecting concrete balcony and stair. The organization of the building is based on a spiral within a square. An upper level of galleries wraps around a central double-height court, penetrating it with balconies at several locations. A ramp within the skylit central court winds its way to the upper gallery level. In addition a pinwheel pattern of circulation along linear paths leads to the exit stairs. The museum, begun by Le Corbusier was later completed by his students. In 1979 a new wing was added to the Main Building creating another central courtyard between it and the existing Main Building, this courtyard open to the exterior. Further construction to the museum was completed in 1997 with a below-grade addition of the Special Exhibition Wing containing galleries for temporary exhibitions and an auditorium. Along with the construction of the Special Exhibition Wing the Main Building was renovated and made earthquake-resistant without changing its original design, through the fitting of earthquake shock absorbing devices to its foundations. The museum is a two-minute walk from JR Ueno station (Park exit), seven-minute walk from Keisei Ueno station or eight-minute walk from Ueno station of Ginza or Hibiya subway lines. It is open 9:30am-5pm Tuesday-Thursday, Saturday, Sunday, and 9:30am-8pm Friday. Last admission is 30 minutes before closing time. It is closed Mondays and December 28-January 4. Free days for Museum collection: The second and the fourth Saturday of each month and November 3. For more information see www.nmwa.go.jp or telephone +81 3-3828-5131. 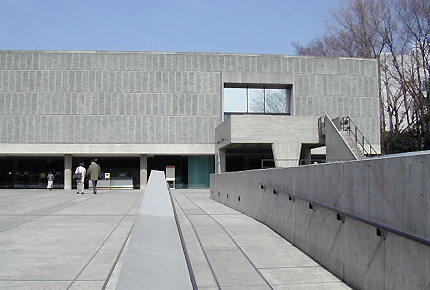 Also located within Ueno Park not far from The National Museum of Western Art is the Gallery of Horyuji Treasures by Yoshio Taniguchi and The International Library of Children's Literature by Tadao Ando.